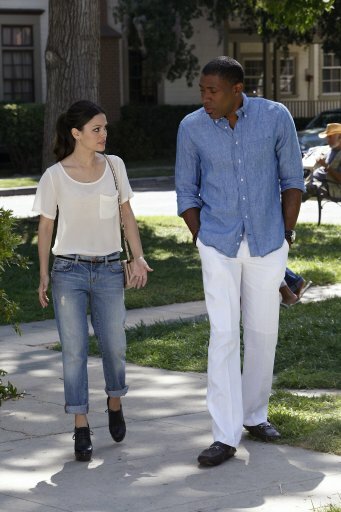 There are two reasons that Hart of Dixie has made its way onto my radar – one, I think Rachel Bilson’s style is amazing and two, I know the next series of Gossip Girl is going to be the last one (sob! )…so I need to find something to replace it as my guilty pleasure TV addiction. I have to say, I’ve always had a bit of style crush on Rachel Bilson and I love how in the show, the way she dresses looks very ‘her’. I also love that she uses lots of brown or tan accessories (I basically feel naked without a tan accessory) and lots of classic stripes. So I wanted to share a few pictures of her amazing outfits from the show! These shorts are adorable – as is the striped blouse. This is the sort of combo I’d never have though of wearing, but love it as style inspiration. Love, love, love black with tan accessories. Throw in a bit of animal print and I’m totally won over. So simple, jeans and a white t-shirt – but throwing in the heeled brogues to make it a bit more interesting. Stripes and a tan jacket – what’s not to love. Here are a few outfits that Rachel has been spotted in ‘in real life’…so you will get what I mean when I say the outfits in the show are very ‘her’. Ooh look, shorts and stripes… adore this outfit. If only I had the legs for it! Animal print and black… love the boots in this outfit! Another favourite Bilson style moment for me. The simple jeans/white combo – I really like the ankle boot/peep toes she wears here. Also love how she doesn’t just stick to skinny jeans – she’s a fan of the looser style, rolled up. Sigh. Can I steal her wardrobe now please?! Do you ever have a style crush on a celebrity…if so tell me who! Always looking for style inspiration! She has great style, i have never heard of her before but i love most of this outfits! I like how wearable her style is, not totally unattainable! Everytime I’ve watched Hart of Dixie I just get distracted by her wardrobe. Oh to have those clothes! That’s true actually, I love Sienna Miller’s style too. Relaxed but polished! Love every outfit and just like you said – so true to Rachel’s personal style. I am freaking out that it may be GG’s last season, I’ll have to start watching heart of dixie now too! Ah, me too! Don’t make GG end! I want it to keep going!!!! Thank you for bringing this to my attention! 🙂 You always have to have a guilty pleasure like Gossip Girl in your life (high drama and fashion will always keep me entertained!) Also love Rachel Bilson’s style so any chance to see more of her great outfit choices is a win too! Glad it’s not just me, I’m really Sad GG might be coming to the end – I love it! OMG! Rachel Bilson’s has the most amazing style. She always looks so cool and chic. I heard it was definitely back for a second season, but I really don’t want Gossip Girl to end! Tan, black, tiny bit of animal print, perfect! She is a doctor in Hart of Dixie- so it would be fine for me to wear short shorts to clinic, right? Haha, totally fine! If they do it on TV…. 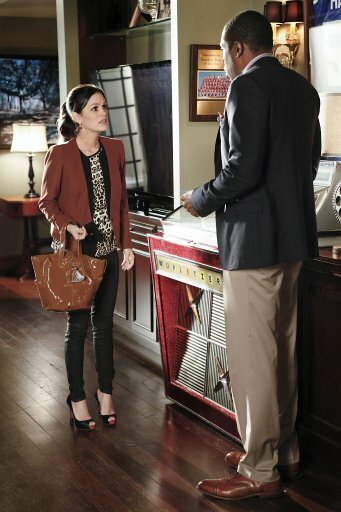 i love rachel bilson’s outfits and hart of dixie! I love this show, just watched the series finale last weekend, I hear they havn’t commissioned a second seried yet though 🙁 I just love how her outfits on the show mirror her personal style!